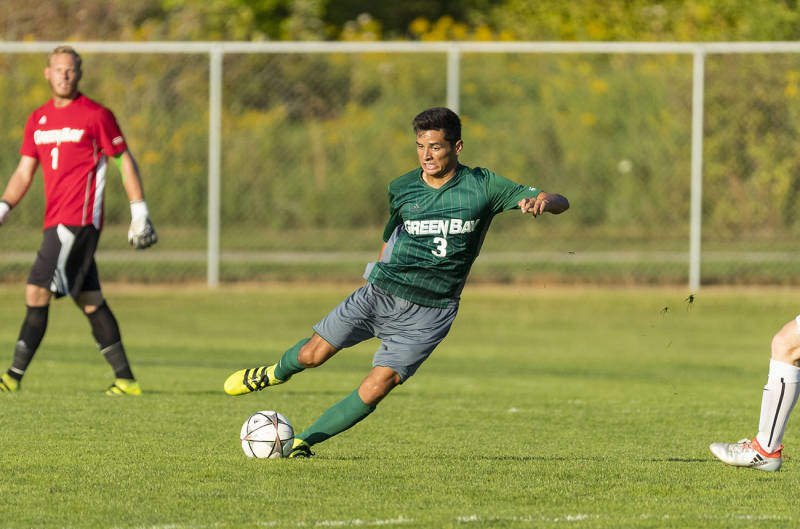 The University of Wisconsin-Green Bay Collegiate Soccer Camp is a 2-day camp from August 5 to August 6. It invites all 14 to 18 years old male soccer players with ambitions of playing at the collegiate level. Likewise, the training program will simulate the intensity of a collegiate training atmosphere. The Green Bay men’s soccer coaching staff aims to improve the participant’s tactical insights. And, to improve the participant’s technical skills. Coaches from other top universities will also attend the event. There will also be competitive small sided and 11 vs 11 games. It will be a serious but fun training camp. The camp will be at the University of Wisconsin-Green Bay campus. The University of Wisconsin-Green Bay is a public state university. It is a member of the University of Wisconsin System. It is 86th in the Regional Universities Midwest, edition of Best Colleges rankings. And, 21st in the Top Public Schools rankings. Currently, it accommodates around 6,700 undergraduate and graduate students. The university has 16 intercollegiate athletic teams. Their nickname is Phoenix. And, their identity colors are green and white. They are participating in the Horizon League of NCAA Division 1. The men’s soccer team have already 6 NCAA Tournament appearances. They also have 3 NAIA III championships. And, 1 Horizon League championship. The Phoenix men’s soccer head coach is Jeremy Bonomo. He is in the head coaching role since 2014. He is a former assistant coach at the University of Cincinnati. Coach Jeremy Bonomo is a conference coach of the year awardee in 2009. He leads the team’s NCAA Tournament appearance in 2009. And, Coach Jeremy Bonomo is also a United States Soccer Federation `A’ License holder, too. The team’s assistant coach is John O’Reilly. He is a member of the 2013 Big East Coaching Staff of the Year before coming to Green Bay. His playing career includes an MVP award. Then a Patriot League Defensive Player of the Year award. And finally, an NSCAA First Team All-America award. The University of Wisconsin-Green Bay Collegiate Soccer Camp will simulate the intensity of a collegiate training atmosphere.